There has been much in the news this week about L-pocalypse, what with this weekend’s L closure, and the city’s cap on ride-share vehicles, but that’s not all. On Monday, the MTA showed of it’s L-ternative bus routes to city officials, who rode public transit throughout the two-mile route. 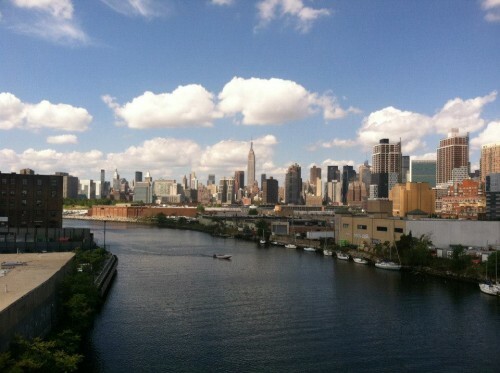 Tour Newtown Creek By Ferry! 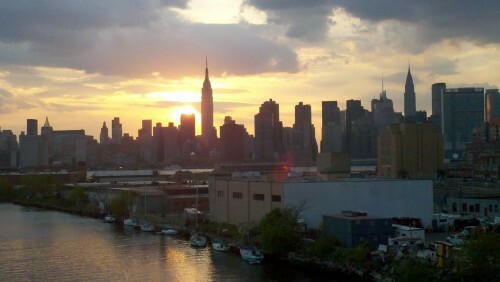 On May 21st, Newtown Creek Alliance sets sail on Newtown Creek in a NY Waterway ferry boat. 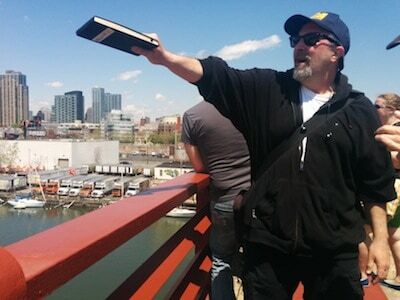 Historian Mitch Waxman and NCA Program Manager Willis Elkins are hosting the boat ride, and participants are invited to learn about the Creek’s rich industrial history, lasting legacy of contamination and environmental damage and on-going efforts to revitalize and restore this unique waterway in the heart of New York City. 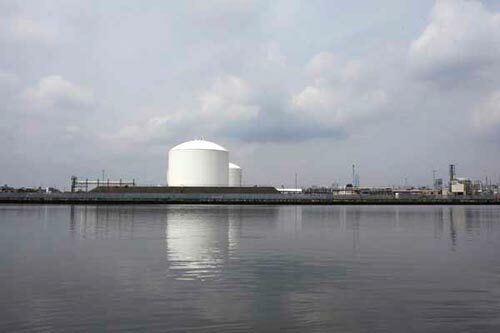 This is a unique and rare way to be able to tour Newtown Creek and learn about our neighborhood’s (tragic) environmental history. We in Greenpoint know better than to swim in the toxic, bacteria-laden Newtown Creek. 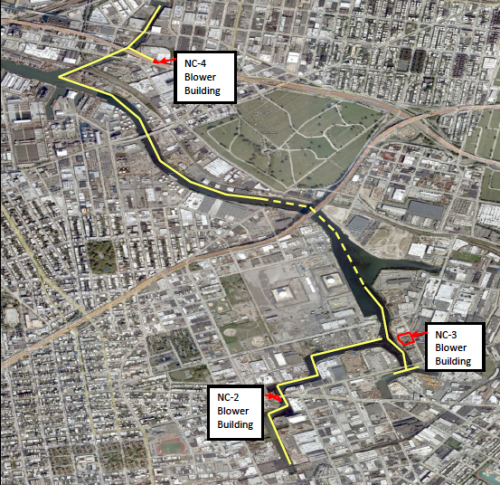 We might soon be exposed to the contents of the creek regardless through a proposed aeration plant that would go in the Dutch Kills area of the creek. The U.S. Army Corps of Engineers is accepting public comment on the matter through Monday, April 4, and the Newton Creek Alliance drafted a letter in strong opposition (PDF) to the current plan. The process of aeration increases the water’s oxygen content levels to support marine plants and fish, which were depleted after a century’s worth of industrial pollution and wastewater overflow. The air bubbles travel from installed pipes at the bottom of the creek, releasing oxygen bubbles — but the air doesn’t stop there. 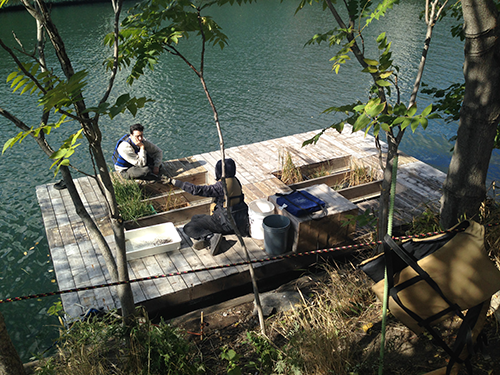 “I’m gonna keep you alive, I promise!” says Mai Armstrong, member of Newtown Creek Alliance. 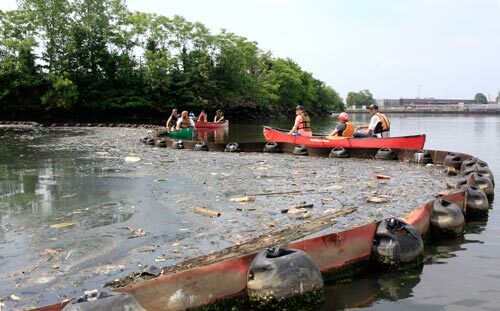 Thanks to Newtown Creek Alliance and North Brooklyn Boat Club for organizing this fun canoe trip on the Newtown Creek. While nature in the way of lush forests and crystal clear running streams is far from the scenery along this industrial waterway, “nature has returned to the creek,” our guides explained, which is a good sign. Among the many birds we spotted were cormorants, swallows, cardinals, a great egret, an entire flocks of cormorants, a catbird and a few geese who were demonstrating a curious behavior of swimming along the creek’s edge with their necks down low on the water. We were very excited to also see blue crabs, oysters, small fish and jelly fish! I won’t say it didn’t smell, in some parts worse than others. Mostly they were industrial gas and crude oil smells. There was a lot of garbage floating, capri sun containers, potato chips bags, tampons, and I won’t say that I didn’t cringe every time even the most minuscule drop splashed on my arm or even worse right near my lips. When I asked Jens of NBBC what would be the protocol if someone fell in and swallowed a mouthful of water, he said he would recommend getting a Hepatitis test since the biggest pollutant on the creek nowadays is human excrement. The most striking feature of the tour was when we canoed up to a partition between the creek and a combined sewage overflow, CSO area. That is where rainwater mixed with sewage from the treatment plant overflows after heavy rain. 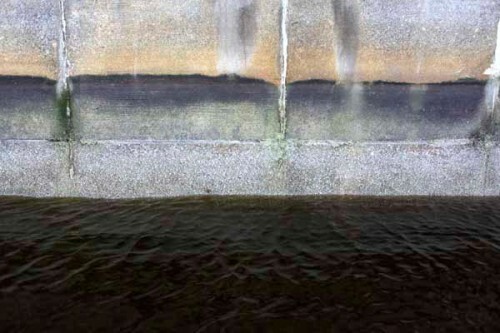 The water on our side of the partition was very clear, protected from – wait for it – “floatables.” On the other side, where an unknowing egret was hunting, was thick putrid sludge leading from the huge overflow pipe. When we returned to the boat club dock I was never so excited to wash my hands, especially the spot of water that turned brown on my arm. Canoeing up the creek is something that everyone should experience, at least once. If not for the birds – for the reality check. Modern conveniences like toilets and sanitation make us forget the impact we have on our own environment. 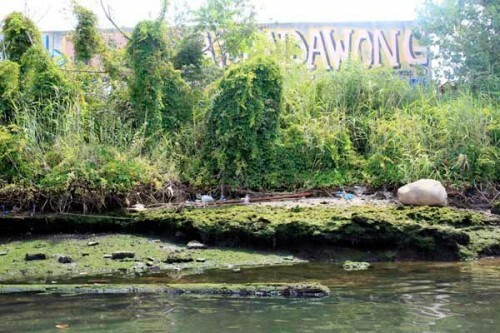 While the creek is on its way to becoming a less vile place, it’s still the toilet of NYC, and we shouldn’t turn a blind eye to it, especially since it is becoming a viable place for our own native fauna. Bonus: Laura Hoffman, locally famous environmental hero for Greenpoint, who was a plaintiff in a 2004 lawsuit against ExxonMobil for contamination of Greenpoint and the Newtown Creek that won $19million for an environmental projects fund, was on the same canoe trip! I was honored to finally meet her. The streets of Greenpoint, Brooklyn are disgusting, smeared with dog feces and full of garbage. THERE ARE NO GARBAGE CANS in the area. There does not seem to be regular street cleaning despite the street cleaning signs that indicate street cleaning times. With the growth of the residential developments, businesses moving in (Kickstarter), the East River Ferry nearby and the opening of Transmitter Park, the neighborhood has experienced a significant increase in pedestrian traffic. Over the past year, residents in our neighborhood have submitted multiple online requests for garbage cans via the Department of Sanitation’s website to no avail. Despite numerous requests by residents, the Department of Sanitation has simply ignored these requests and nothing has been done to rectify the situation. 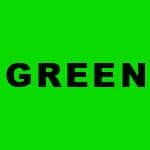 All individuals signing below are petitioning the NYC Department of Sanitation to provide public garbage cans at all intersections of West Street between Greenpoint Ave and India Street as well as Franklin Street intersections between Greenpoint Ave and India Street. 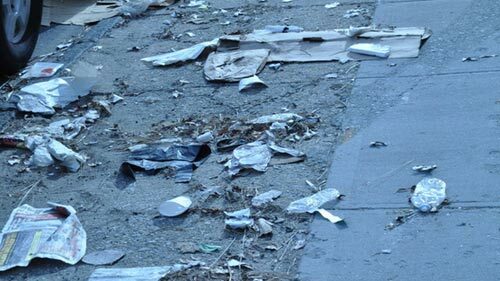 Additionally, the NYC Department of Sanitation should regularly dispose of the garbage in the public garbage cans and provide regular street cleaning to all named streets and surrounding areas. 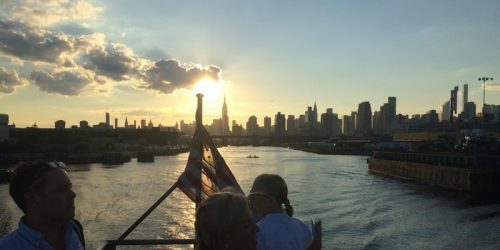 Two new articles about gentrification and environmental activism in Greenpoint, appearing in The International Journal of Justice and Sustainability, argue that the neighborhood is challenging the typical narrative that gentrifying neighborhoods will inevitably force out all long-term residents to make way for a gold coast of newly arriving gentrifiers.